Both books serve a purpose in presenting a reading of Scripture which moves away from the rigid division between evolutionary theory and creationism, a division which seems to be self-serving for both sides of that particular argument. 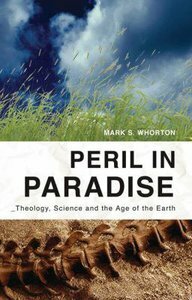 Instead they offer some carefully argued exegesis and theological discussion on the whole issue of theodicy which is thought-provoking and which offers an understanding of Genesis for evangelical Christians which does not demand a belief in a young earth. Thank you, Simon and Dorit, for taking the time to read and respond to my book Death Before the Fall. Two minor corrections: “The Battle Lines Are Drawn” is not a title in my book but in Whorton’s; and I am not a theologian but a political scientist by training. My apologies, Ron. Thank you for pointing this out. I will make the changes.